How to get previews for acapella tracks after donating? Front Page Forums WELCOME ACAPELLAS4U Rules How to get previews for acapella tracks after donating? Front Page › Forums › WELCOME › ACAPELLAS4U Rules › How to get previews for acapella tracks after donating? Hi – I threw $10 the way of the webmaster for putting the site together since I’m new here. Just wondering how I allow for previewing of tracks before downloading, if I have to let a mod know I paid on PayPal, etc. I’m new also and donated 4 days ago. Wondering if you figured this out and if so about how long it took for you to be able to preview. I dontated, and was able to get previews for about two weeks. Then, nothing, and all my bonus downloads are gone too…. Sent a PM to a couple of admins, no response yet, and no supporter status…..
Simteks, you have one more account which is in "Forum Supporter" status. 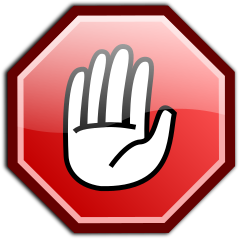 Please stop using this one and continue with newer account (registered on 21 Dec 2012). Having more than one forum profile is a foul. Is this website even maintained ? Does anyone know how to preview tracks after you donate? I cannot find it! Again, I found a wise solution to this problem. The forum ‘ACAPELLAS4U Rules’ is closed to new topics and replies.